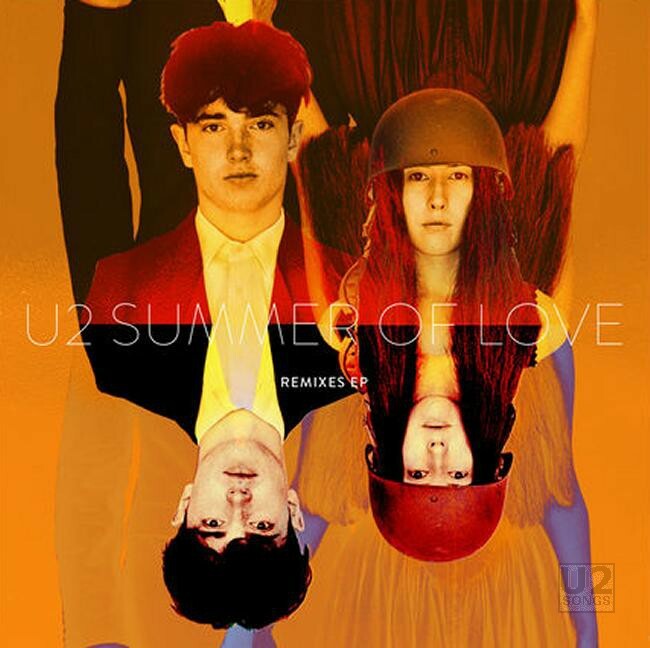 “Summer of Love” is U2’s sixth commercial single from Songs of Experience. It follows commercial releases of “You’re The Best Thing About Me,” “The Blackout” (Record Store Day), “Get Out of Your Own Way,” “Lights of Home,” and the recent “Love is Bigger Than Anything in its Way” releases. Additionally “American Soul” had been released to radio in Europe, and “Summer of Love” has been released previously in The Netherlands for radio play in January of this year. The last album to have six commercial singles from one album was 1997’s Pop. “Summer of Love” was issued to digital store fronts and streaming sites worldwide on August 10, 2018. The first release to promote the single is a four track remix EP with remixes by Robin Schulz, TILT and Danny Stubbs, Howie B, and HP Hoeger and Rusty Egan. Although Robin Schulz is new to working with U2, the other DJs had worked with U2 in the past. One of the producers working with TILT, Mick Park, previously had remixed U2 under the Killahurtz name. Howie B had worked with the band extensively on Original Soundtracks 1 and Pop, and Rusty Egan was the first artist to release a single on U2’s Son record label, and also remixed the band’s recent “Love is Bigger Than Anything in its Way” single. The second release of remixes, a 4-track EP, released on Black Friday, November 23, 2018, features four additional remixes of the song, all of which had previously been released in some form for promotion of the song. Of the four, two are the same as the promotional remixes that had been issued — the DJLW Remix and MINDSKAP remixes are the same length as the earlier promotional mixes. The other two mixes, the Hardwell Mix and the Ralphi Rosario Dub, are edits of the promotional mixes that had previously been sent for promotion. The original Ralphi Rosario Dub released for promotion was 06:52, and the commercial version is 06:36. The original Hardwell mix released for promotion was 03:53, and this commercial release is 03:25 in length. This EP is being titled the “Club Remixes EP”. All of the tracks on the “Club Remixes” EP either were released, or had a related remix released on YouTube in September. A longer version of the Hardwell and DJLW Remixes were streamed there, as well as the full length MINDSKAP remix. Although the Ralphi Rosario Dub was not streamed on that service, his Summer Love Remix and Radio Edit of the track were available on YouTube. The links here will take you to YouTube where you can listen to these mixes. All of these “Summer of Love” commercial releases are being released in digital forms only. There are a large number of fake versions of these available on auction sites claiming to be legitimate CDR releases. Please use caution when purchasing any such item.